This course will include one extra day of bridal work, covering consultation techniques with the bride-to-be, and choosing the correct colours for the occasion. 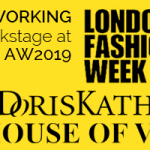 The whole course provides training in professional makeup skills covering day, evening and Western bridal looks, and leads to an industry recognised qualification. 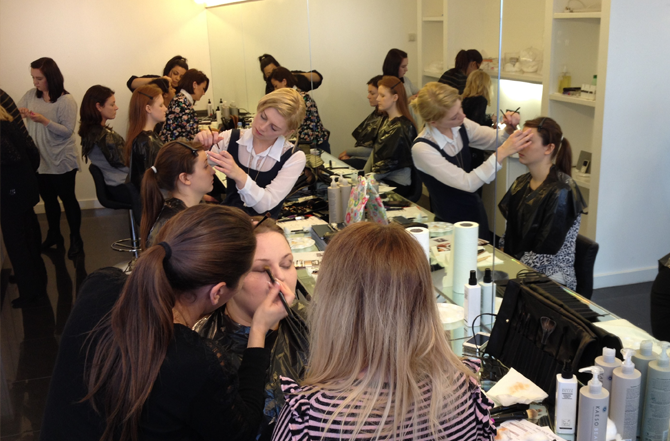 Our three-day Foundation & Bridal Course includes two days of intensive, hands-on make-up training, providing basic training in professional make-up skills and artistry. 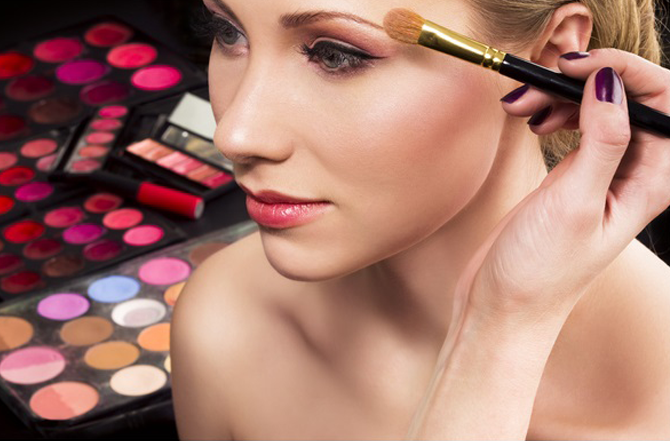 The course is aimed towards those who are looking to make a full-time career out of bridal makeup. 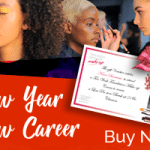 Beginners who wish to learn all the basic skills in professional make-up artistry or those who wish to refresh or update their current skills for retail. It covers day, evening, bridal and special occasion looks plus all the techniques required to achieve them. 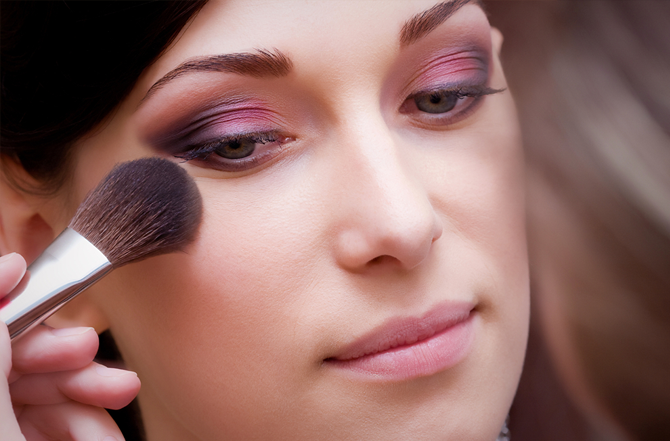 You will be working in a professional make-up studio and you’ll be taught by a working make-up artist for 3 days. The course is balanced between theory, demonstrations and hands-on practical tasks. No previous experience is necessary. What happens after the bridal training course? Following on from the three days of intensive training, students will complete an at home study program using the course notes provided and complete a training portfolio of evidence including a practical and written assignment, plus approximately 15 make-up looks to complete on family and friends. You will be asked to come back for one day once you have completed your portfolio work (We estimate this work can take up to 2 Months to complete) then you can take the practical exam and multiple choice theory paper. Only once you have completed the home study programme can you come back to take practical examination. 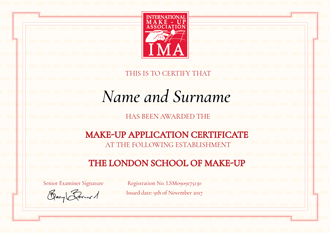 On completion of the programme, you will receive an industry recognised qualification through the IMA (International Make-up Association). Brushes NOT included. You will require Professional make-up brushes. You can buy our LSM PRO Brush set & cleaner when booking a course online. Please note: You will be required to bring a digital photographic device(phone/camera) to keep a record of your work. Please backup your photographs regularly during the course. This professional set has been designed exclusively for The London School of Make-Up by one of the worlds most prestigious hand made cosmetic and art brush manufactures in Germany. Using high quality sable, pony and goat hair for the best results when applying make-up. The brush set has been designed and chosen to help start your professional career in the industry. This luxurious set of 21 brushes including brush belt are handmade and designed exclusively for The London School of Makeup by in Germany. Da Vinci have over 100 years of manufacturing the highest of quality professional and retail brushes for both the cosmetic and art world. 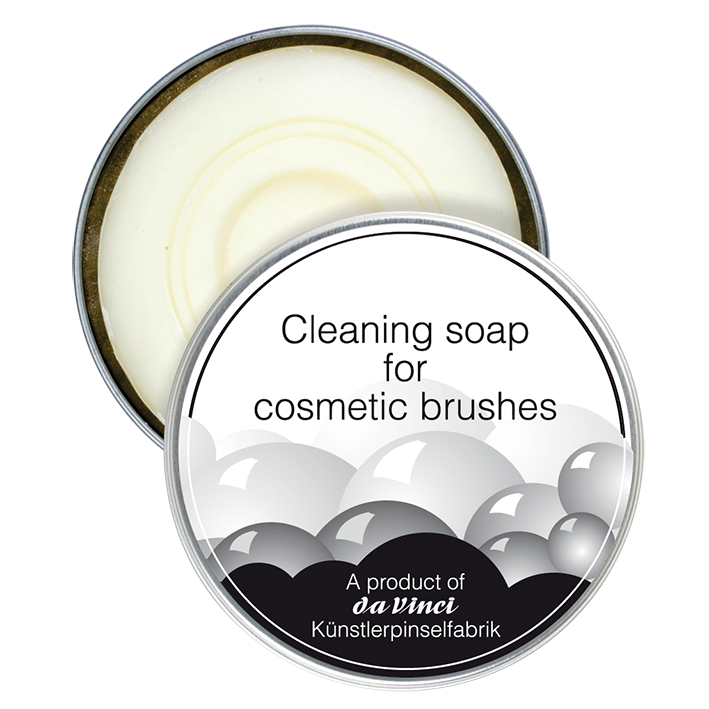 Our special soap for cosmetic brushes, based on vegetable oils, and comes in a practical round metal box. Through its reconditioning action, it keeps natural hair and synthetic fibres smooth and elastic. Your cosmetic brushes can feel damaged especially if the product remains in the body of the hair and the remaining cosmetics become hard. This can take away the suppleness and make the hair break. For regular maintenance i.e. washing out all make-up residues, is recommend so we especially developed a cleaning soap which is based on pure vegetable oils with reconditioning effect. Cared for in this way the brush hair will retain its elasticity and remains robust and smooth for a long time. Do you accept overseas student? Yes, we take students from outside of the European Union, An overseas student is someone who lives outside of the EU and requires a visa. Do you offer student visas? No, we do not offer student visas as our courses are less than six months long. You can undertake a course for up to 30 days in duration with us providing it is part of your visit using a visitor’s visa. You will have to apply independently for this visa from your own country.